Great opportunity to owner occupy or invest in a quality 3 family building 2,525 square feet of living space with breakdown of 5/5/4 rooms on each floor. Location is a plus! The appeal of excellent school systems and walkability to commuter rail (1/2 mile away) will increase rental value. All units have off street parking. Second floor apartment recently renovated with new kitchen--stainless steel stove and refrigerator. First & Second floor apartments have hardwood floors and high ceilings. Porches off the back of all units. All units are occupied TAW. Projected market rates for units are: $1700/$1700/$1500. 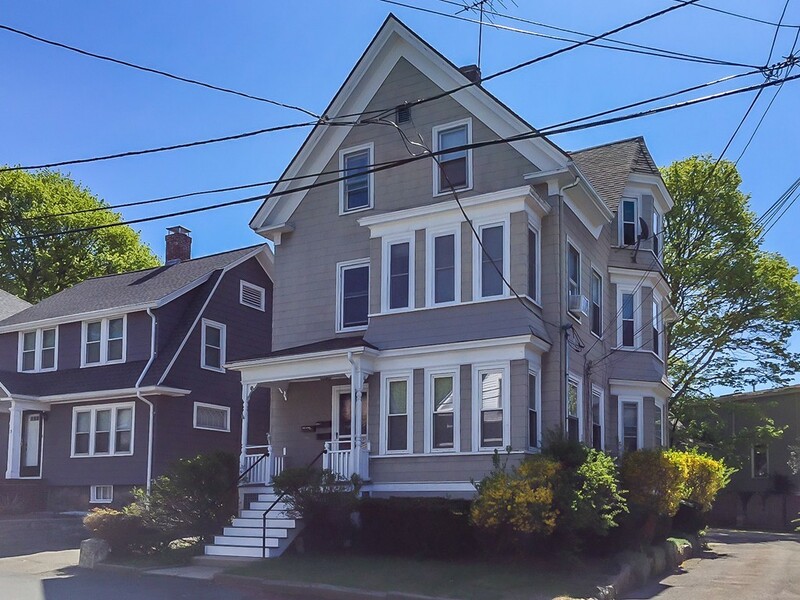 Recent improvements include 7 new windows on first floor and electrical updates: Whole house main feed to 200 amp service from street, converted to 3 separate circuit breaker panels and 4th for common areas. New door being installed to 3rd floor porch.